If you see Advanced Micro Devices, Inc driver update for AMD SMBus in Windows Update, just DON’T install the update via Windows Update. Since it could very well just fail and cause further problems. But don’t worry, we’re here to provide you with two safe and easy options to update your AMD SMBus driver. 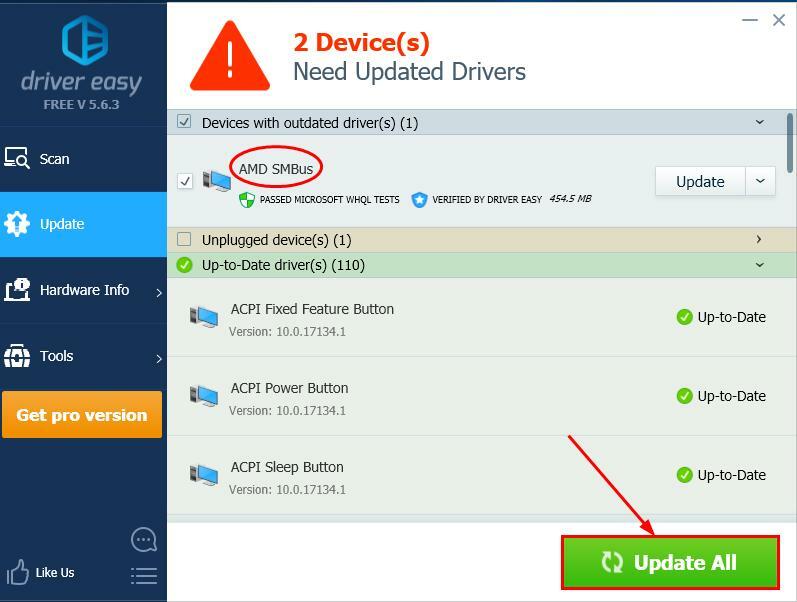 You can upgrade to the Pro version and click Update All to automatically download and install the correct version of ALL the drivers that are missing or out of date on your system. You can click Update to do it for free if you like, but it’s partly manual. 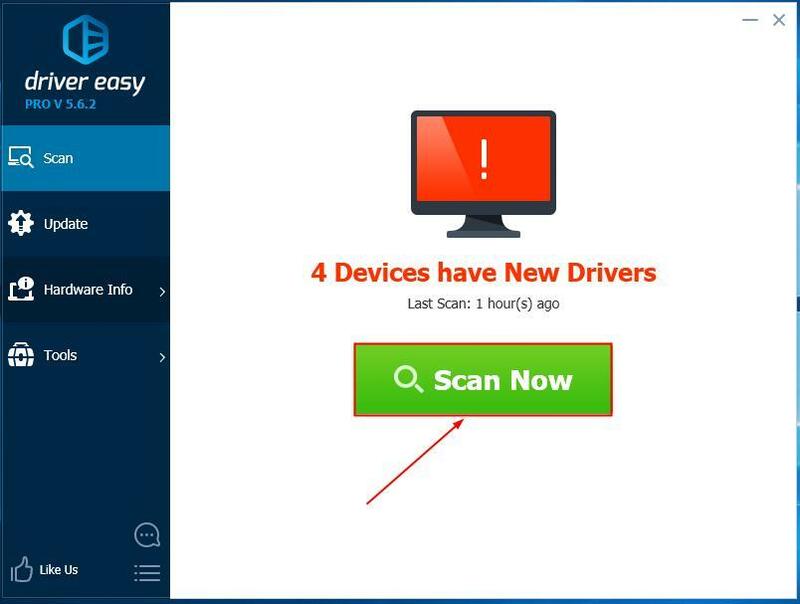 Warning: Downloading the wrong driver or installing it incorrectly can compromise your PC’s stability and even cause the whole system to crash. So please proceed at your own peril. The AMD SMBus driver is packaged as part of the AMD Chipset Drivers we’re going to download. Go to AMD’s official website. 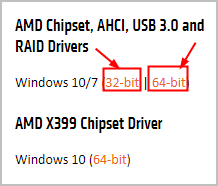 Under Latest AMD Drivers and Software, locate AMD Chipset, AHCI, USB 3.0 and RAID Drivers, click the bit version that corresponds with your own Windows OS (even if you’re using the AMD X399 Chipset). Click DOWNLOAD in the first result to make sure you download the latest AMD Chipset Drivers version. Double-click on the downloaded file and follow the on-screen instructions to finish the install. That’s it – two methods to update your AMD SMBus driver. Hope that annoying update alert has gone by now. And feel free to drop a comment below if you have any further questions.